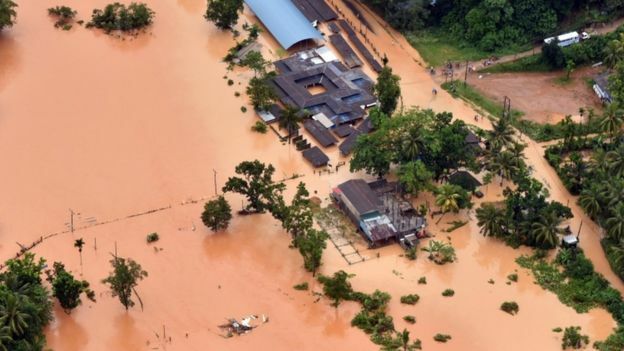 At least 126 people have been killed and nearly 500,000 displaced in Sri Lanka following flooding and mudslides triggered by monsoon rains, the government says. A further 97 people are still missing, a spokesman said. The flooding is believed to be the worst since May 2003 when a similarly powerful south-west monsoon destroyed 10,000 homes and killed 250 people. 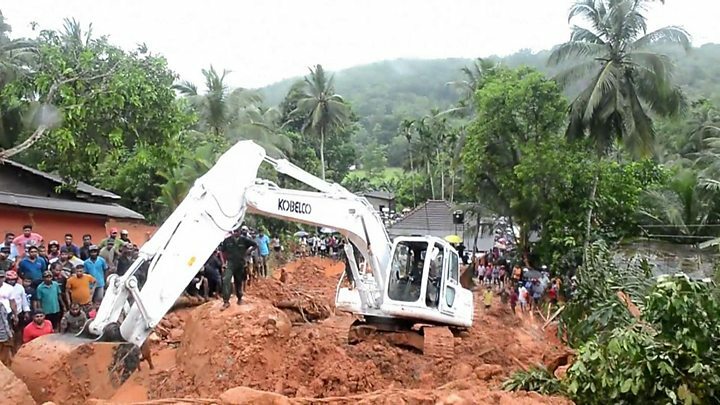 Rescuers had set up 185 camps for displaced people and the town of Matara in the south of the island was being evacuated because of the risk of flooding, the spokesman said. 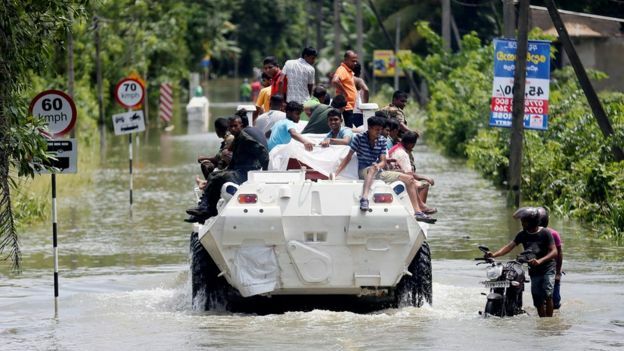 Earlier, the head of military rescue operations Major General Sudantha Ranasinghe told the BBC that troops had reached all the affected areas and the risk to life had receded. “There is no danger to life now, it is a matter of providing food, water and looking into sanitation,” he said. One of the worst affected areas was the south-western district of Kalutara. At least five mudslides had been reported there, police said. Sri Lanka’s Disaster Management Centre (DMC) also issued evacuation notices to residents along the Kelani river, which flows through the capital Colombo, amid fears that it was about to burst its banks. An Indian navy ship carrying medical teams and emergency relief supplies has arrived in response to a Sri Lankan government plea for help. “The (foreign) ministry will continue to monitor the flood situation and seek assistance as required in consultation with the ministry of disaster management,” the government said in a statement.